In terms of suitability and impact, the popular option for commercial heating and cooling, is a Geothermal heat pump. With its proven efficiency for high demand buildings, Geothermal heat pumps are an ideal low carbon, high efficiency solution that collect heat from the building and deposit back it into the ground, effectively cooling the building. Unlike carbon heavy fuel sources like oil or natural gas, these pumps simply move heat from one place to another, instead of generating it from a fuel source like oil or natural gas. Geothermal heat pumps draw heat from the ground, raise its temperature and transfer it to the building’s energy system. In the summer, the process can be simply reversed. For every 1 unit of electricity we use in the heat pump, nature provides 4 units for FREE, thus giving unbeatable efficiencies of over 500%. 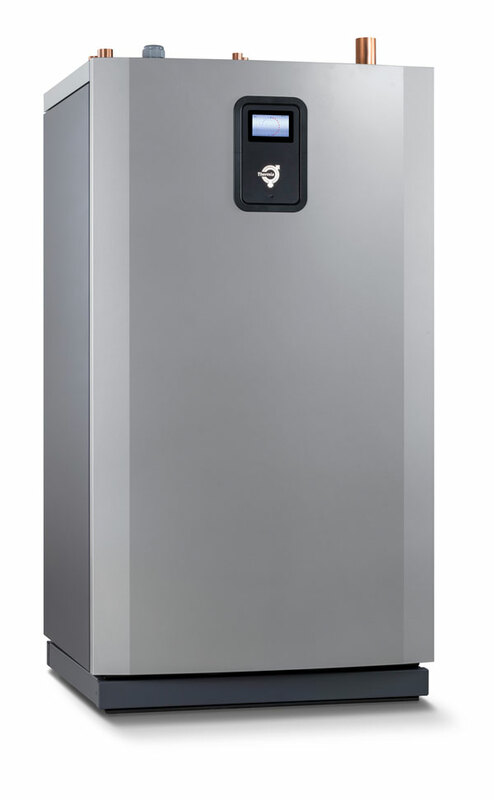 Thermia Mega is a commercial heat pump designed as a beacon of best all round economy. The result is a heat pump with an inverter controlled compressor with a total output of up to 88kW and the highest SPF on the market. You can connect 16 Mega XL units together to achieve a total heating effect of up to 1408kW. 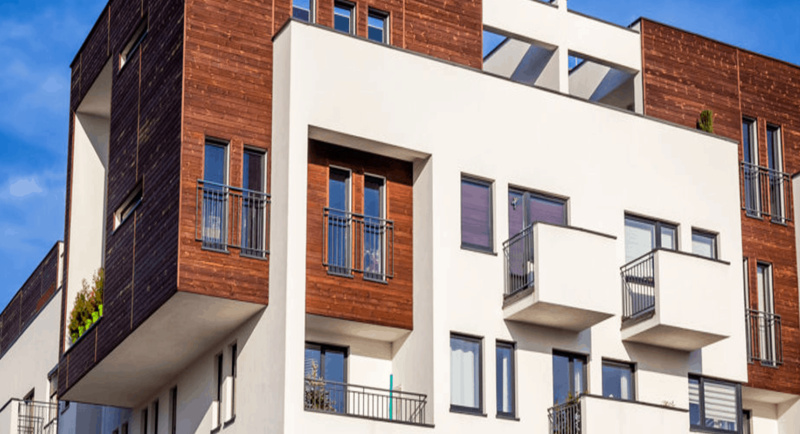 Our inverter technology makes Mega an extremely flexible and versatile product, which can be installed and used in all types of properties whatever the conditions. Each solution can be tailored to meet your full heating and hot water needs. The inverter technology which continuously adjusts the heat pumps output to current demand, means that the heat pump can supply 100% of your energy requirements. This in turn means that you will avoid having to pay for any expensive auxiliary heating. Thanks to the inverter control you can also operate installations with different heating and hot water demands without the need for additional volume tanks. This will lower installation costs and reduce the space needed for the system. Hot gas exchangers as standard make hot water production extra cost effective. The main aim when developing Mega was to create a powerful control system. 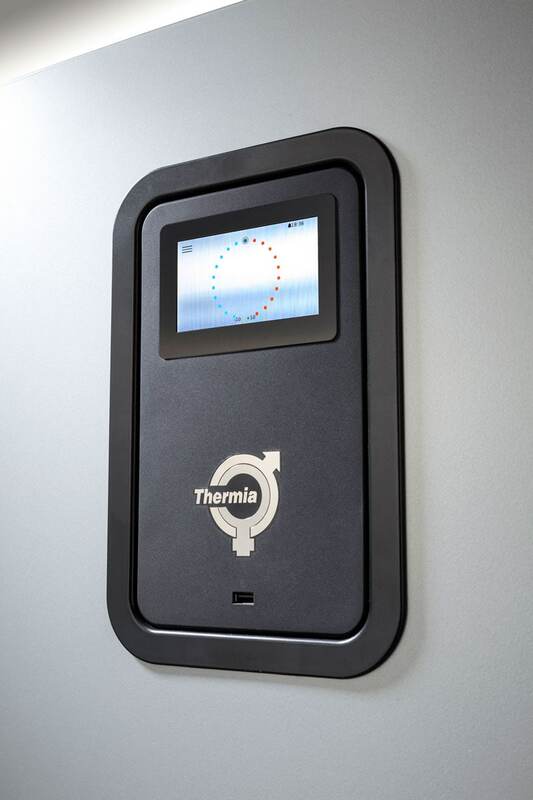 Monitoring and control can be performed directly on the heat pumps newly designed colour touch screen, as well as via a web interface, and upstream control system or via mobile.